Dan Wildenhaus is a well-versed man when it comes to green building best practices and integrating sound building science with energy efficiency. He’s been a contractor, energy auditor, consultant, trainer, speaker and college instructor. One thing he’s never lost sight of is the role common sense should play in the building industry—and today he shares that point-of-view with us on the topics of energy efficiency and green building. EcoVative: You’ve got first-hand experience—just how valuable of a skill set are energy auditing, weatherization and efficiency specializations? What’s in it for the builders, contractors and vendors who take on training in these areas? EV: Is there demand for these services? Has it grown or shrunk during the recession? DW: The demand is still there, however it has been more of a requirement in up-skilling the existing work force. In certain parts of the country, those with high utility rates or other strong driving forces, there has been a slight increase in the demand on the market for well-trained folks. That being said, the construction industry remains one of the hardest hit by unemployment. EV: If demand is rising for more sustainable homes, why do you think that is? Where are the biggest opportunities going forward? DW: I think that buyers in general want more—more for the same price. What that “more” is will always be dependent on both the economy and culture. We are in a time and place where a focus on efficiency and responsibility are expected. This is what high performance homes are all about—delivering the home that does what it should do (be comfortable, good IAQ, reasonable to heat and cool, durable and safe) with a price point as close to normal as possible. Other elements of sustainability are also on the rise in certain parts of the country. However these are more fluid concepts and with today’s economy, many of them are simply not in the forefront of most home buyers minds. EV: What is the biggest opportunity missed by builders, contractors and vendors working on new or existing homes that would support their profit margins, make positive impact on the environment AND benefit their clients? How can they seize that opportunity? DW: In my opinion, the biggest opportunity missed is taking advantage of programs designed to guide builders and contractors toward better built homes and provide third party verification. There are over 80 major regional or national green building and labeling programs in America. Many of these programs require third-party verification that the home or project has been done correctly. A lot of folks ask, “Why should I get the home labeled? Why can’t I just install the features and let my clients know?” I have to ask them back, “Would you trust the word of a manufacturer about its product performance over the word of third-party?” Probably not. I want more than just my auto makers’ assurance that my new car gets over 30 miles per gallon, right? EV: We hear a lot about LEED, commercial building retrofits and sustainable buildings under construction, but less about the benefits of greening your home. What are the biggest benefits regarding homes? And what kind of impact can a shift in building practices towards sustainability make on both our economy and public health? DW: We hear less about homes because there are so many different verifications. But the benefits are still great. Even if we take some of the more politically charged opinions out of the equation, building or retrofitting homes so that they cost the homeowner less to own and operate is a good thing—is it not? You can extrapolate that to the societal benefits when you talk about re-using materials, practicing waste and water use reduction techniques, and creating neighborhoods where homeowners stand a better chance of keeping their homes since they don’t have to pay as much each month on bills and maintenance. EV: Are there any reasons not to employ energy efficient techniques and technologies? Or have we reached the point where these kind of outfits and retrofits are a no-brainer? DW: There are still some energy efficiency techniques and technologies that do not pay for themselves over the average time a homeowner lives in their home (about 7 years). That’s not to say these are not good ideas or should not be considered. And that being said, it should be common sense, when properly explained, that a great many of these features are no-brainers, do pay off and should be readily adopted. The folks that focus their construction on more advanced techniques are a great help as well, because they drive down costs for advanced features through understanding and awareness. EV: What do we need to do in order to shift public perception regarding the notion that greener buildings are too expensive to make business sense? DW: I think it starts with demystifying “green” construction. By focusing on high-performance homes and waste reduction, we can show folks that the cost of ownership (purchase price + ongoing costs) is actually the same or less than a “standard” home—plus the home does everything it should! EV: What is the role of contractors, builders and vendors in helping sustainable best building practices, techniques and products go further into the mainstream? DW: The folks that actually make the homes we live in play a vital role. By taking a chance on a new product in a demo house or signing up for a third-party verification program, contractors can be a primary driver. More than that, the people working on homes every day can help to inform the science geeks about what is and is not doable for a reasonable price. I think there is sometimes a disconnect between what is best practice and what is feasible at most homeowner price points. EV: What will you be focusing on in your talk at EcoVative? DW: My colleague and I will be discussing what is unique about high-performance homes and how they can be marketed for builder or contractors advantage. EV: If you could get one point across to EcoVative attendees, what would you hammer home? DW: Let’s work together to show everyone that good building techniques and high-performance buildings make sense and should be in higher demand! EV: Why are educational opportunities like EcoVative important for the industry? What benefit do they bring? DW: I think opportunities like EcoVative bring a unique variety of people together and provide excellent avenues for the sharing of information about integrating building science into practice. Dan Wildenhaus is Technical Manager at Fluid Market Strategies. He will be presenting at the Home Builders Association of Metropolitan Portland’s 2011 EcoVative Conference and Expo May 10, 2011 at the Holiday Inn Portland South in Wilsonville. EcoVative is a one-day conference for home builders and contractors to unite education and practice. Featuring lectures and training sessions with regional experts, EcoVative provides opportunities for Oregon CCB Continuing Education credits. For more information or to register, please visit: http://ecovativeconference.com. For the latest on green building and EcoVative, follow the Home Builders Association of Metropolitan Portland on Twitter, EcoVative on Facebook, or join the EcoVative LinkedIn Group! Today we continue our interview series with building science expert and speaker, Mark LaLiberte, who will keynote the EcoVative Conference, May 10 in Portland. In this session, Mark shares with us how to bring efficient, sustainable design to everyone, and how to work through the industry’s pain points for greater success. EcoVative: It seems like sustainable building practices, and the benefits and efficiencies they bring, don’t’ always reach the people who need them most. Are you seeing local and state governments change their policies to use more of these techniques in low income and affordable housing? Mark LaLiberte: Yes. That goes for the rest of the world and for the U.S. as well. In England, 15-20% of the homes they build now have to be “social housing.” They’re actually required to exceed energy requirements that match up with our Energy Star or Energy Star Plus. Through this requirement they transformed England’s building landscape, because social housing improved so drastically in terms of efficiency and air quality. How could they go back into the marketplace for upper-bracket homes and build houses that didn’t even meet the standards that their social housing was built to? They raised the bar substantially and made great impact in doing so. Bringing that idea back closer to home, I’ve been working with Habitat For Humanity quite a bit. Their Seattle branch (run by Marty Kooistra), for example, has decided that the lower income people they’re building homes for need lower energy bills and improved quality in their living environment and air. I served for years on the American Lung Association’s Board of Directors and we know that respiratory issues like asthma in children are up substaintially—nearly 72% in a 12-year cycle. Plus we see a higher incidence of upper respiratory issues in children who are challenged in terms of their family economics due to the fact that their indoor environments are often compromised. Everybody needs good quality housing, which includes avoiding materials that include Volatile Organic Compounds (VOCs) and installing hard surface flooring to preserve air quality. Those kinds of things benefit overall health and potentially lower medical costs, while simultaneously lowering out-of-pocket energy costs due to higher efficiency. It makes make a huge difference in the financial stability of a family. And if a non-profit like Habitat For Humanity can do it with ease, then every builder should be able to do it. EV: What is the industry’s biggest pain point? What issue must be advanced in order to reach the next level of impact and benefit? ML: This might seem obvious, but it’s something the industry really struggles with, even though there is a straightforward solution. We do not have enough comprehensive involvement in education or put enough investment in training opportunities. We have to set and hold higher expectations for performance. I ask builders continuously whether they’re paying for inferior quality work—and they all answer they do. If we’re paying for work, we need to demand it be good quality work. But you also have to train your people. Teach them exactly what you want them to do. If their work is sloppy, show them how to fix and improve it. Don’t just let it this stuff get by. So much of what we do hinges on training and education. I hear from builders all the time that they realized in my class that letting poor work slip is setting a terrible precedent. That they finally saw it’s not about making more money, but about putting a legitimate level of workmanship and craftsmanship into their product. The question is: How do we get the building industry to embrace workmanship and craftsmanship? Because they both improve durability, which is directly connected to sustainability and achieving better efficiencies. The industry has to step up and promote the need for the education of their trade base and themselves. That applies to suppliers, manufacturers and lumber companies too. We need to get everybody on the same page in terms of what quality looks like from a production and installation standpoint. That alone could single-handedly and dramatically change what we see happening today. EV: As a country, can we afford to not build greener and more efficiently going forward? ML: I hope everyone already knows the answer to that, but it’s no. We’re spending $50 billion a month as a country to import energy. That’s unsustainable on every front. Cutting our debt isn’t going to be achieved just by cutting budgets. It has to come through cutting expenses too. What we’ve been doing with our individual and national choices is to fund people who don’t like us. So really, the most intelligent thing we can do for our own safety and prosperity is to move to more sustainable alternatives, supplied right here in the U.S., that help fuel a very efficient economy and society. Without those things we’re in trouble. We just can’t afford to do it any other way. It’s absolutely time to do this. I heard someone pose the precipice recently—what’s the risk of not doing this? Catastrophic. But what’s the risk of doing it? Improving everyone’s lives AND our economic structure. What we need to do is totally obvious. How can we not take that path? EV: Are there any technologies or techniques you find really exciting that are coming out on the market? ML: One is that manufacturers are developing a much broader palette of materials for insulating and air-sealing buildings. We know that 30-40% of a typical building’s energy use is wasted in leakage, so it’s huge to have new techniques and methodologies for going into a home and very cost-effectively sealing up the air leaks, while at the same time installing great quality insulation. With these hybrid air-sealing/insulation systems we’re seeing that the HVAC and heating and cooling industries are able to improve their equipment drastically as well, because the machines don’t have to work as hard. Now we can achieve 95% efficiency and our machines use 1/6th of the gas that a conventional motor for an air conditioning unit does. That’s a direct effect of improvements in building science to form a better foundation and create a less toxic, more efficient enclosure environment for the appliances we choose. We’re also seeing big advancements in LED lighting and photovoltaics/solar. Where I live, in Arizona, every home should have a solar domestic hot water system. That simple device would drastically cut back on the energy used to heat water. When it’s 110 degrees outside, it’s pretty crazy to use a gas-powered water heater to bring your water up to 110 degrees, right? In Hawaii, where it costs 0.25-0.28 cents per kilowatt of electricity, it is now illegal not to have one of these systems installed in a new homes, because its helps save so much energy. We have to take advantage of this kind of knowledge and technology for our benefit. EV: What should attendees at EcoVative except to hear from you? Are there any new topics you’re planning to focus on? ML: I want to talk about how we reengage the process of breaking down our building process into the ten key components: Combustion safety, ventilation, management of water durability, improvement of energy efficiency, optimization of HVAC, window technology, etc. We need to bring these back into play. We also need to recognize that consumers are motivated to become better educated and make good choices, and assist them with that process. I find one of the biggest weaknesses is sales people in the construction industry who know very little about how to help buyers in this way. They’re really good about helping with a down payment and navigating paperwork, but they aren’t as good at educating buyers on what to look for in a home to achieve their goals for it. There’s a big gap there. 3) How we use that to define who we are as business people. We have to ask and find answers for who we want to be today and who we want to become in the future—and then act accordingly. Part of our legacy as builders is leaving great buildings for the next generations. We know how to do it. The technology is there. The time to learn and apply these technologies and methodologies is now. And I really hope everyone who attends will take full advantage of the opportunities provided at EcoVative. I hope they go talk to people and ask questions, attend classes, make connections and learn things they didn’t know when they walked in that morning. I want to challenge them to meet 10 new people, pick up 10 new ideas to incorporate going forward and discover five things they want to change the day they get back on the job. Those are the things that conferences like EcoVative can do for the industry and its professionals–but only if they take advantage of the opportunity to get better. 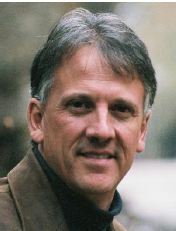 Mark LaLiberte is a world renowned speaker and building science expert. He will be the keynote speaker at the 2011 EcoVative Conference and Expo, May 10 at the Holiday Inn Portland South in Wilsonville. For more details on EcoVative and to register, please visit: http://www.ecovativeconference.com. Get updates and the latest news on the EcoVative Facebook Page:http://www.facebook.com/ecovative.